Hanging up in the lobby of CAM, you will find an original painting of Steve Prefontaine by nationally known, Seattle based artist Chris Hopkins. 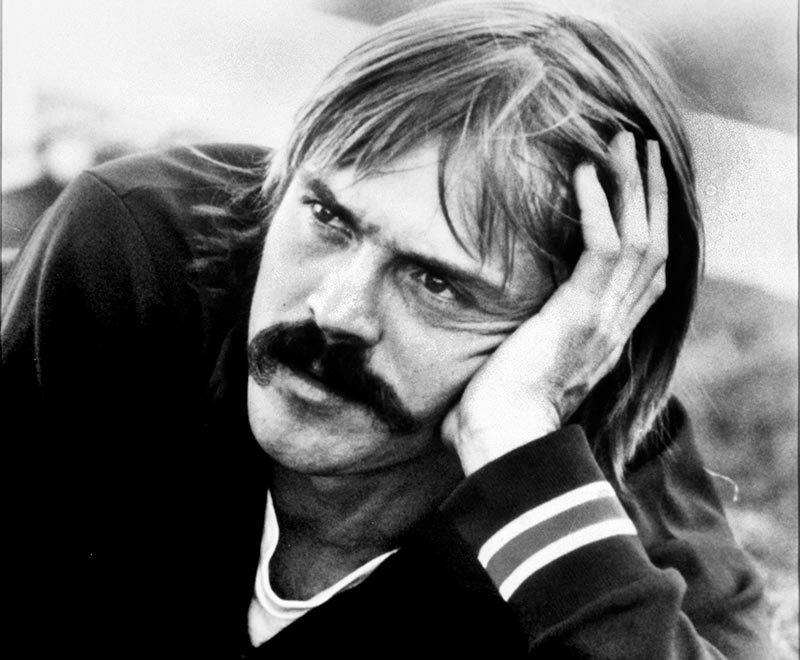 Located upstairs is the Prefontaine Memorial Gallery, where you will find numerous photographs and tributes to this hometown hero. 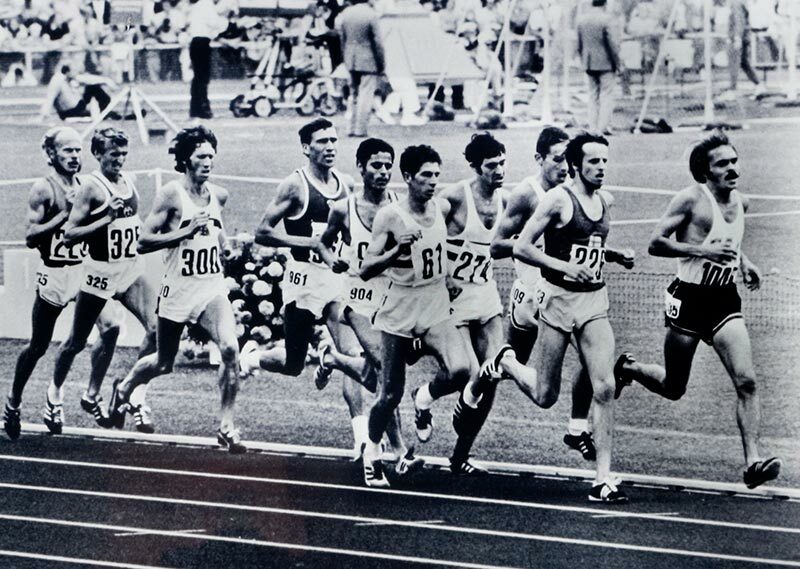 Showcased in a hand-made trophy case are most of the medals, ribbons and trophies that Steve Prefontaine received during his brilliant, but short career. 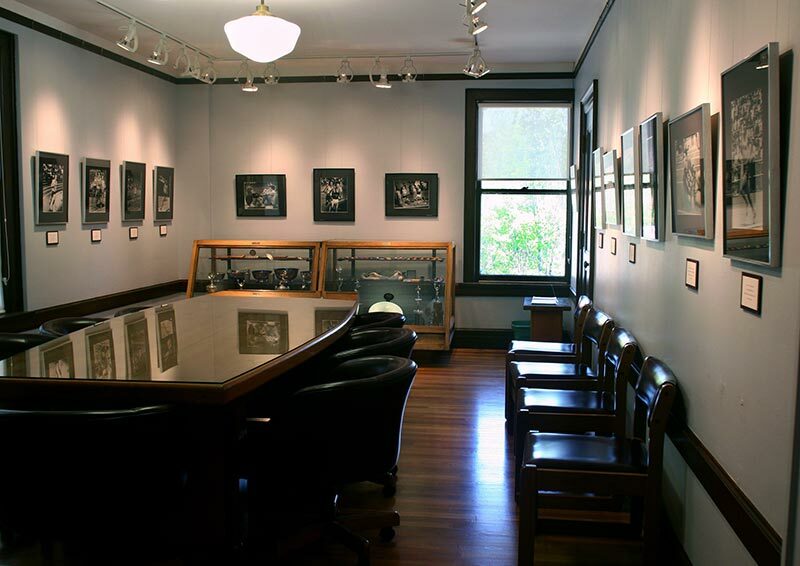 On the walls are copies of photographs from the private collection of Tom Jordan, the former publisher of “Track and Field News” magazine. 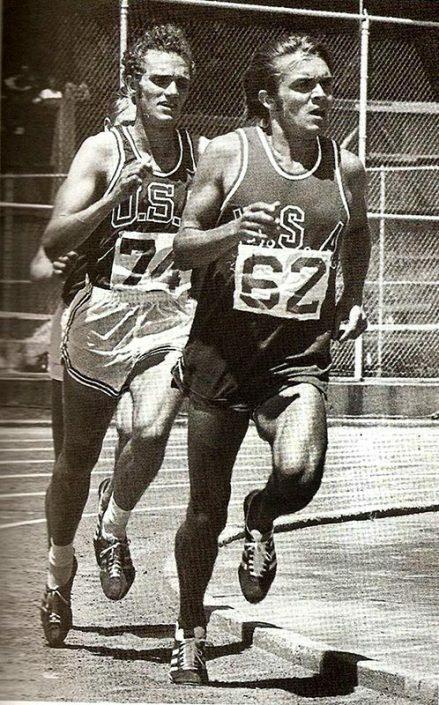 Each of the photos depict Pre running or crossing the finish line in many of his races, including one from the Olympic Games held in Munich, 1972. We encourage our visitors to both sign and read through the guest registry. See what those, whom to this day, still admire and honor the memory of Steve Prefontaine, have written. Take the time to reflect on the life and career of a young man who influenced so many. On the second floor of the Coos Art Museum is a room dedicated to the short life and running career of Coos Bay native Steve Prefontaine. At the time of his death in May 1975, Pre held eight long-distance running records. Runners from all over the world know about Pre’s accomplishments and many know Coos Bay was his hometown. Up the stairs from the main lobby, the first room a visitor comes to is a conference room immersed in the runner’s life. On the walls are copies of photographs from the private collection of Tom Jordan, the former publisher of “Track and Field News” magazine. 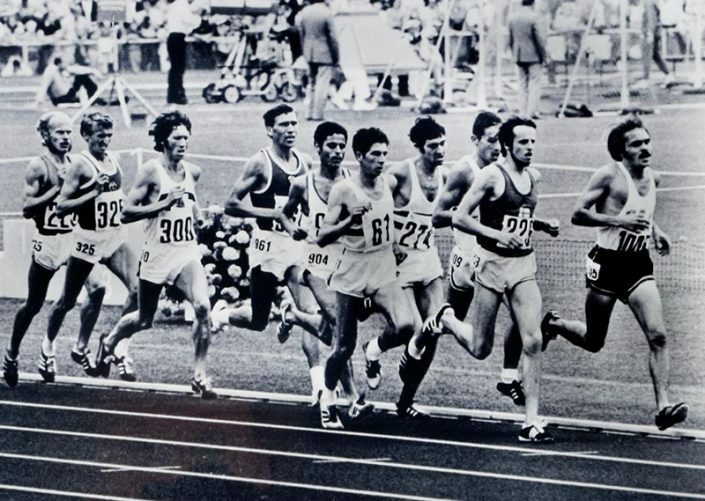 Each of the photos depict Pre running or crossing the finish line in many of his races, including one from the Olympic Games held in Munich, 1972. 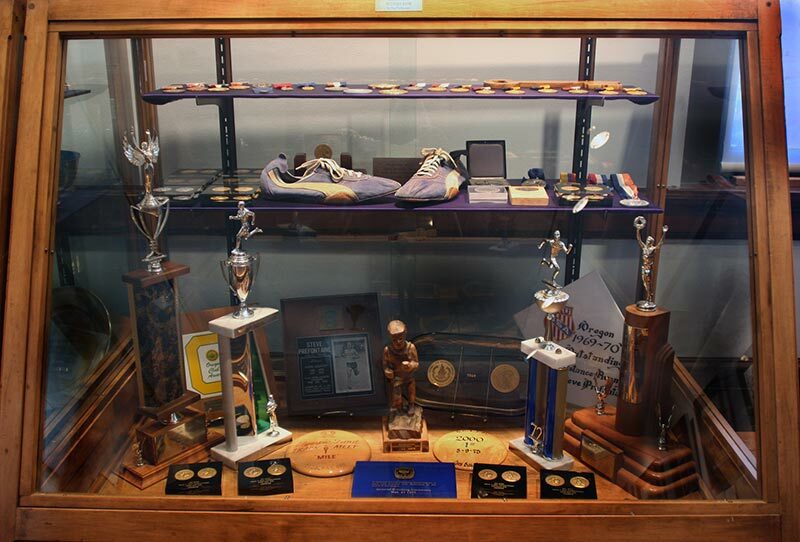 Two cases built by Ray Prefontaine are filled with memorabilia of his son’s accomplishments, beginning with Pre’s days running for Marshfield High School. 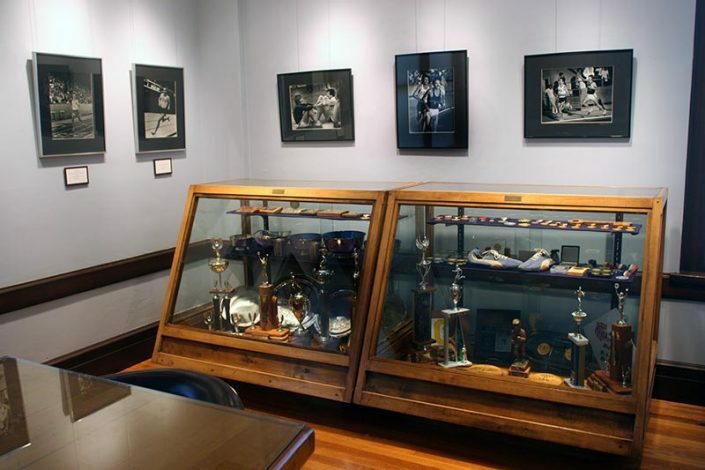 There are plaques, cups, trophies and medals on display from his family’s collection.